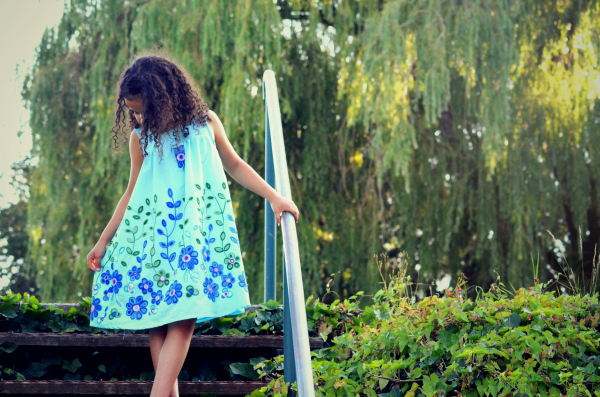 This month's BurdaStyle Influencer post features the Girl's Strap Dress which is part of the recently released Welcome to Greece Collection. 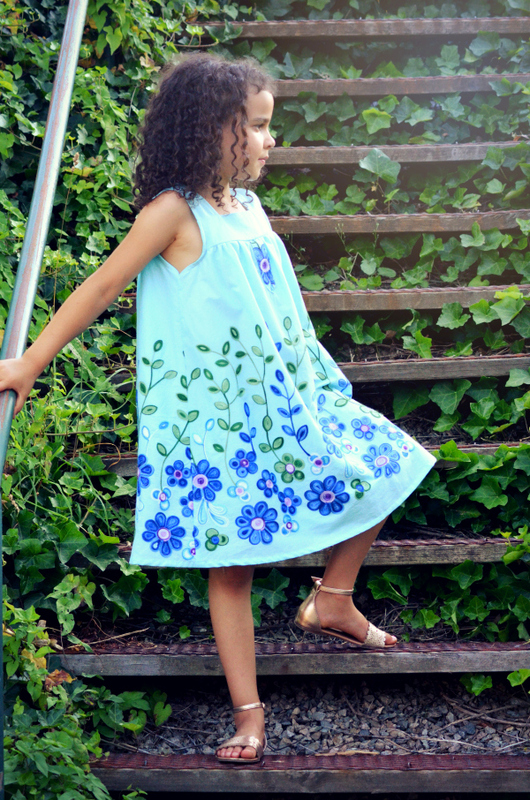 This pattern is great for showcasing light, breezy fabrics like this embroidered cotton from my local shop. 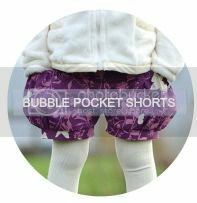 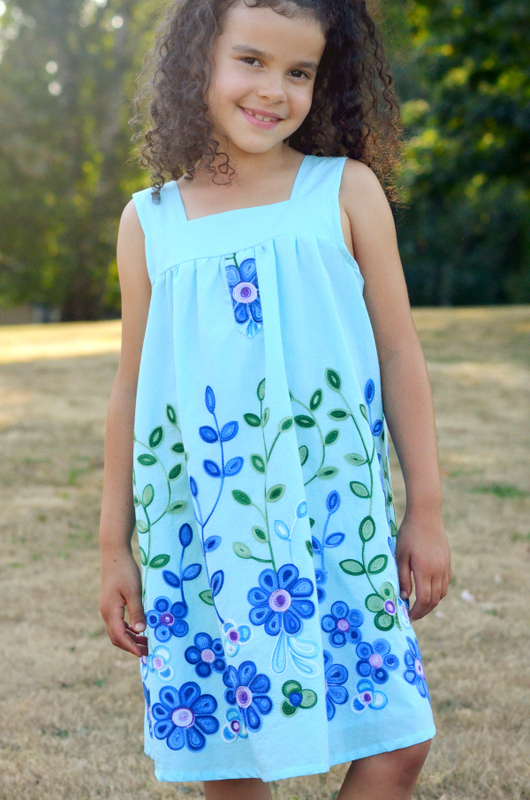 Since the dress is fully lined, the slight sheerness of the fabric didn't matter. 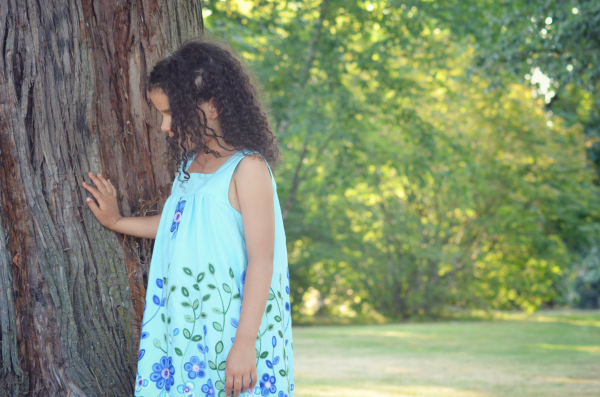 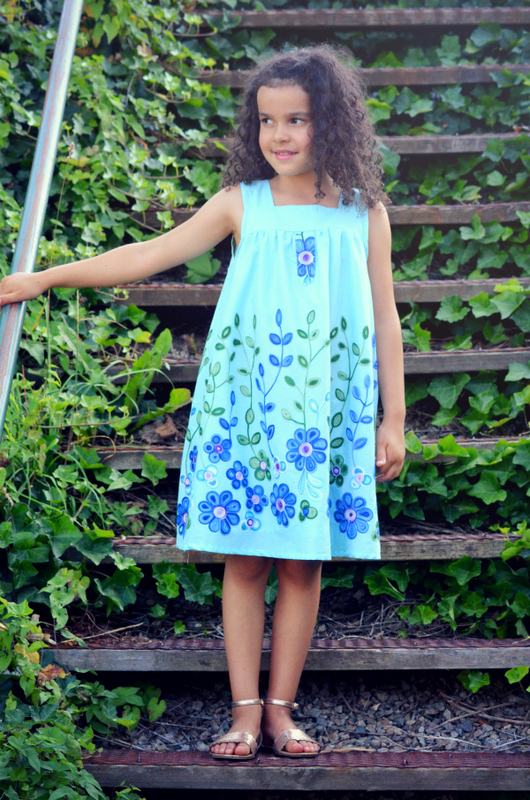 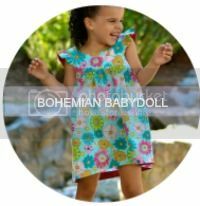 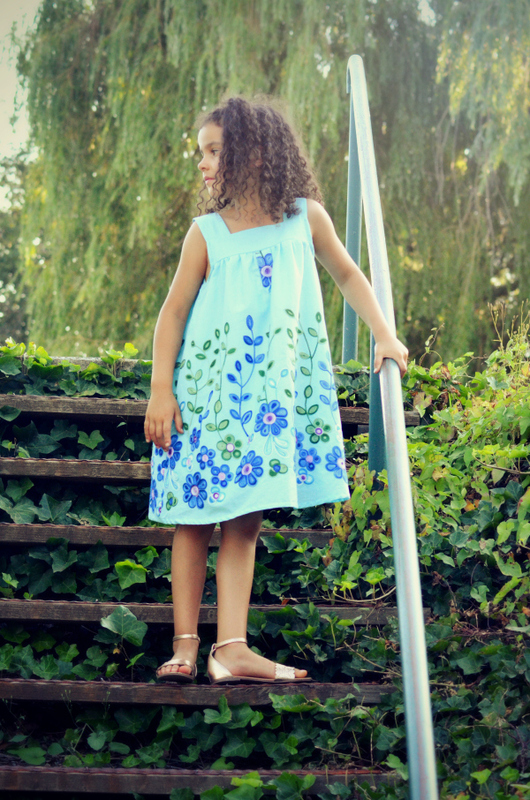 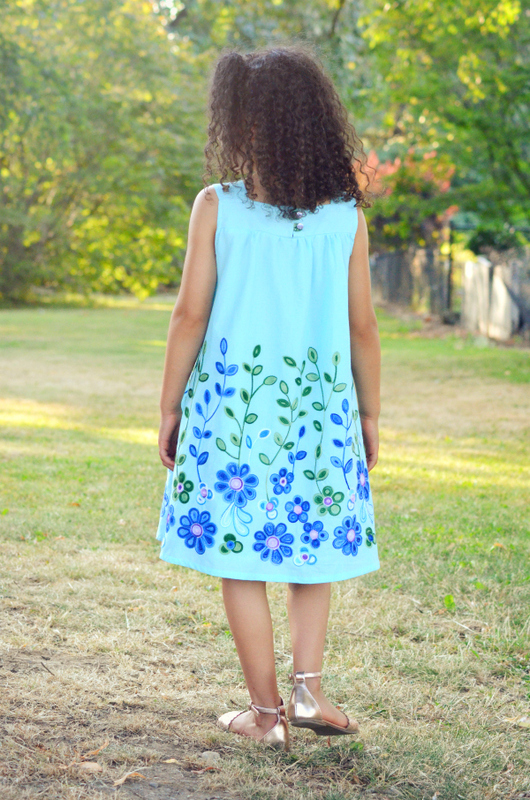 It's so perfect for the hot summer days and Anja now wants to wear this dress everyday!